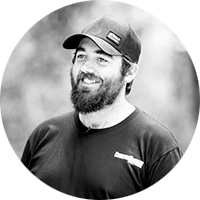 If there’s one thing more important than anything on (and off) the road, it’s piece of mind. 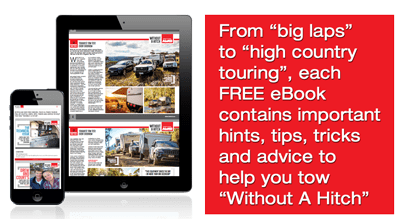 Capability can be bypassed with alternative routes, modifications can be mitigated with planning, but knowing your tow-tug and trailer aren’t going to leave you stranded is something you just can’t put a price on. While most adventurers won’t spare a cent on regular servicing, one aspect often overlooked is the very foundation your home away from home sits on, tyres. While they’re just as important as the tyres on your tow-tug, trailer tyres have a whole different set of requirements. Trailer tyres are often thought of as less important than your tow-tugs, but they can deal with significantly more load. A fully loaded 200 Series LandCruiser has a maximum GVM of 3350kg, that’s 837.5kg per tyre. You’d just scrape into a load rating of 102 (850kg a tyre). By comparison, that same LandCruiser can tow a 3500kg single axle trailer for 1750kg on each tyre. That’s more than double the weight on each tyre and a massive load rating requirement of 127. Before sizing up your next set of tyres you’ll need to factor in the weight of the camper and buy appropriately rated tyres. 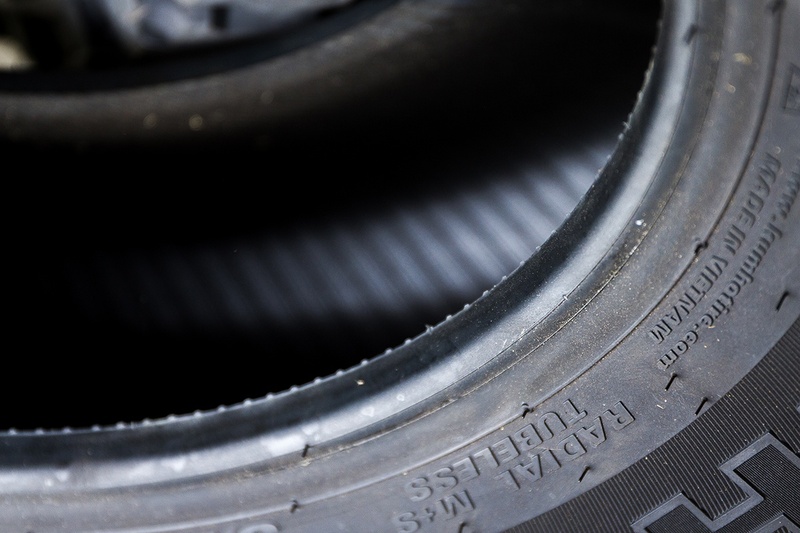 A tyre operating above its maximum load rating can quickly overheat causing separation of the layers, and a trailer dragging its axle behind you. 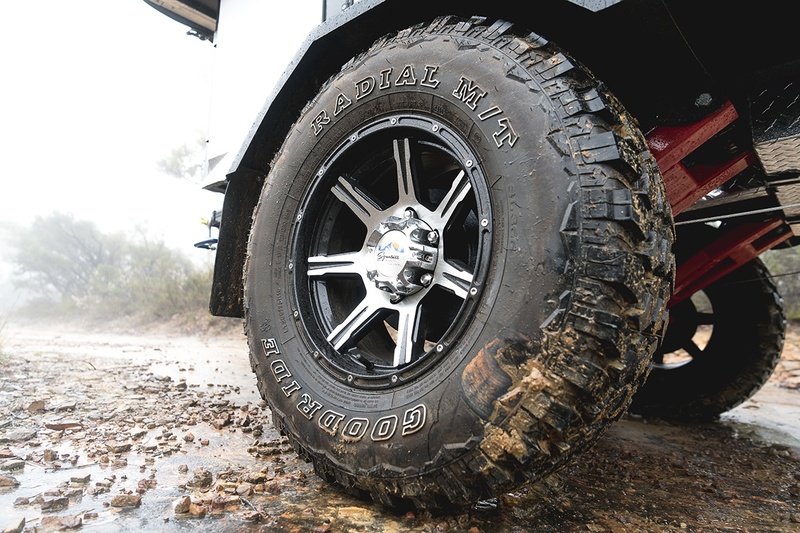 One mistake travellers often make is fitting hyper-aggressive tyres to their camper trailer or off-road caravan. It ticks the boxes in terms of looks and strength but isn’t the best way to go. Drive tyres require an aggressive tread pattern to push into the black top, or through soft terrain, and propel the vehicle forward. Until Tesla starts selling caravans with their own electric motors there’s no drive requirements for the tyres. 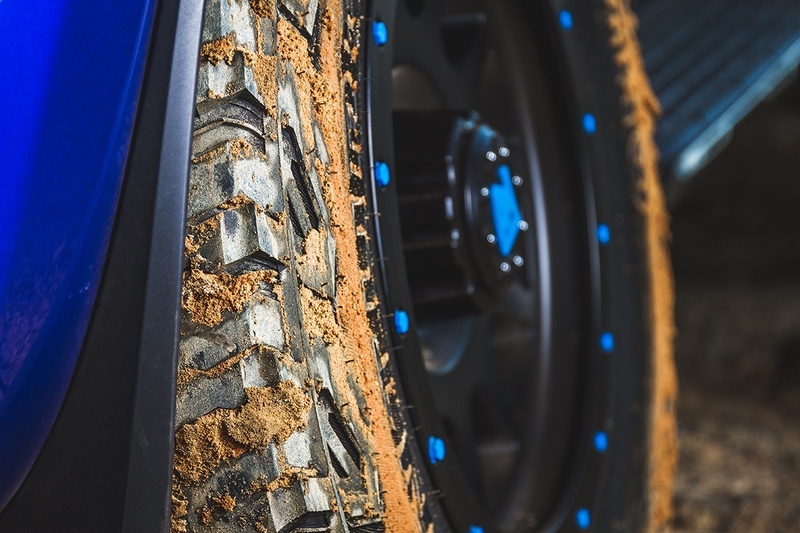 The result is, aggressive mud terrain tyres aren’t giving you any actual tread benefits, they’re simply adding additional weight and rolling resistance. You may not notice it through the throttle, but you’ll notice it on the fuel bill. Long-haul travelling is expensive, so it’s no surprise people look for alternative ways to save a few bucks. It’s a common misconception the tyres on your trailer don’t matter that much, so a set of second hand units are up to the task. The reality couldn’t be further from the truth. Tyres aren’t like a tank of fuel, wearing down till they’re gone. They’re constructed of multiple layers of nylon, rubber, and steal. Over time, the bond between these can break down through age, or miss-use and under inflation. Tyres with an unknown age or history are a roll of the dice you’ll make it where you’re going trouble free.